I'd be absolutely open to seeing a female member of Godzilla's species. That is completely uncharted territory and could be potentially interesting. Actually, technically Godzilland has a female member of Godzilla's species, Gojirin. So I think that should be the definite answer since it clearly shows that Godzilla is male. Breakdown wrote: I'd be absolutely open to seeing a female member of Godzilla's species. That is completely uncharted territory and could be potentially interesting. We'd have to make her differently then Godzilla. And I have a few ideas. 2. Males are also sightly larger overalls, but female are sometimes a bit longer. This is also a form of sexual dimorphism. 3. Males have a more powerful death ray, but more often then not, they have to charge up a bit. Females have a slightly less powerful death ray, but they don't need to charge. Really determined for the female to be smaller and weaker, huh? Not at all, the females would be just as durable as the males and they would actually be slightly better close combat fighters. Funilly enough, I actually half-jokingly once thought the Legendary Godzilla could be female. But on the subject, the films use male pronouns and teat Godzilla as male, so I think he's male, but any other interpretation is ok with me Though personally, I think "only rage" is more appropriate. Last edited by SoggyNoodles2016 on Sat Dec 15, 2018 11:51 am, edited 1 time in total. Rhedosaurus wrote: Not at all, the females would be just as durable as the males and they would actually be slightly better close combat fighters. Would the females be a different color? Yes. As well as having heart shaped spines. SpaceG92 wrote: Yes. As well as having heart shaped spines. They very clearly refer to him as a "He" throughout most of the films, he is Minilla/Godzilla Jr's father, and his title is "King" of the Monsters. Not Queen. He's not called Minilla/Godzilla Jr's mother. So it seems pretty obvious to me. The differences listed are all very natural. Males animals are often larger and more armed or ornate than the females so that they can attract a female and compete with other males. This doesn't mean the females are weak, though. The kick of a female giraffe will kill a lion as effectively as a male kick would. If Godzilly ever shows up in a live action film...just...lol! I tend to look at incarnations like Godzilla ‘54, Spacegodzilla, and GMK as asexual. The others I tend to view as male, whether it be because of their contrast to the blatantly feminine Mothra/Megaguirus, their tough love treatment of their offspring (Showa and Heisei), or the deliberate... you know, imagery... of opponents like Hedorah, Biollante, and Orga. Godzilla generally has a masculine role in these films, so it just seems more thematically appropriate to view him as male. 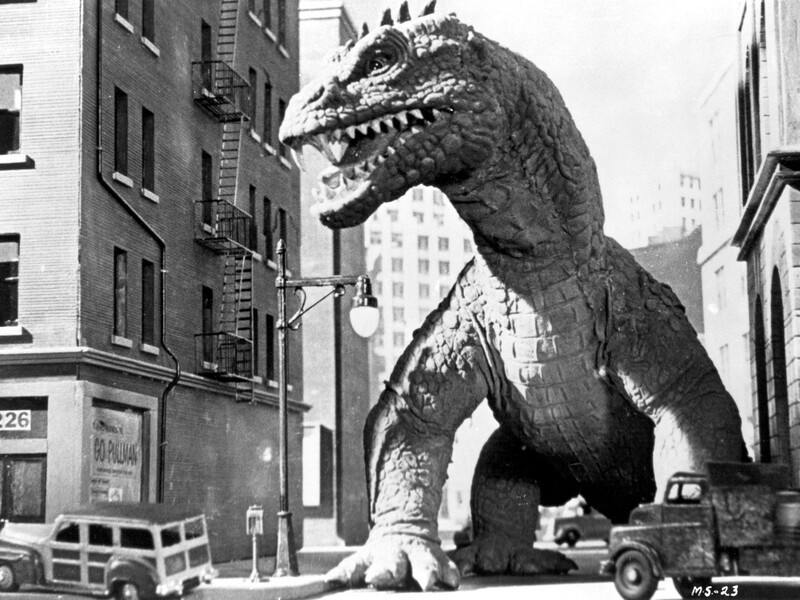 I don't view these kaiju as monsters or genders, I view them as elemental gods or humanity's arrogance. GodzillaBurgh wrote: I don't view these kaiju as monsters or genders, I view them as elemental gods or humanity's arrogance. Some of them definitely have genders though. We can pretty much say for sure Kong is male by his chest. Mothra is obviously female. The initial Rodans were a mating pair. The Gargantuas are stated to be males. So while their gender is often irrelevant, it’s still fun to speculate. LockBite wrote: We can pretty much say for sure Kong is male by his chest. Yeah, and well you know, he went after Ann in several films and had a honeymoon with Lady Kong in King Kong Lives. I do agree though. I view every Godzilla as male, I mean honestly it's a given. It's not a convoluted idea like the plot of Godzilla vs King Ghidorah. Godzilla has masculine traits, has directly been called "Papa Godzilla", every other form of media such as Godzilland and old games from the 80's go the length to make a distinction between Godzilla himself and female members of his kind. Even weird incarnations such as Shin should be no different since just like any other Godzilla, Shin started off as a "normal" animal. Godzilla Earth is referred to as "King of the Monsters" (a title that has stuck around since the American version of '54), and Godzilla Earth as a beard of all things and a manly six-pack. Wasn't Mothra referred to as "he" a lot, though? I always refer to Mothra as "she", but I thought in the Showa era the subtitles always refer to Mothra as a "he". Maritonic wrote: Wasn't Mothra referred to as "he" a lot, though? I always refer to Mothra as "she", but I thought in the Showa era the subtitles always refer to Mothra as a "he". Was that for Ghidorah, The Three Head Monster? Because I distincly remember them calling the larva a "he" and wasn't sure if it was just Mandela effect.